This day started with crazy singletrack roads with 23% – 13% hills and switchbacks that required 1st gear. Until today I have only used 1st gear for parking and a couple of traffic light hill starts! Cheers Satnav! The whole MTBMeetup event is planned and run by Si Bradley (with help from friends and family, inevitably! ), with demos, a BBQ, free cake, goody bags and a raffle, the proceeds of which go to St Gemma’s hospice. This year there was over 1000 people there, which is pretty incredible! See the review on Pinkbike. 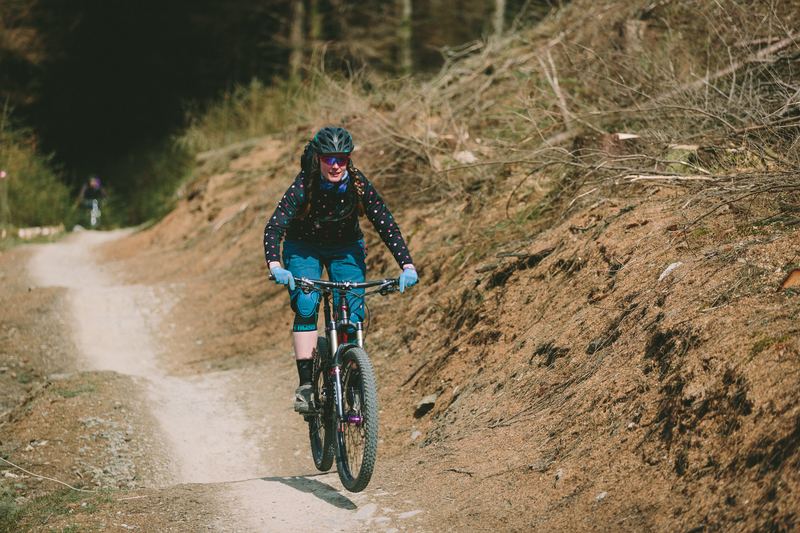 I popped to the Santa Cruz bikes stand and got myself a large Bronson for a test ride, as I’ve been thinking about whether it’s time to move on from the Remedy. I met up with the ladies from Trailtakeover and we headed out to do the red. I instantly felt comfy on the Bronson, and it felt like it pedalled amazingly well for a longer travel bike. There were a few things that weren’t quite to my liking, but these were all set up related – position of shifter, position of Reverb lever, and the forks were a bit hard. Other than that it was a great ride, and I enjoyed it. We were going pretty slow as we had a couple of ladies who haven’t done much trail riding, so it was a case of wait at convenient spots for the group to come back together. And this is what I love about Trailtakeover – it doesn’t matter how fast you go, and what your ability level is. As it was such a big event this also gave us chance to let other groups get past. About half way round I realised what the time was and thought I really should get back to give the bike back – after all the demo loop only takes about half an hour and I’d had the bike for 2 hrs. This meant I got a bit more of a chance to go at a more normal pace for me, slow/fast as I saw fit! I got back in time to see the raffle was being done, and suddenly my name got shouted out! 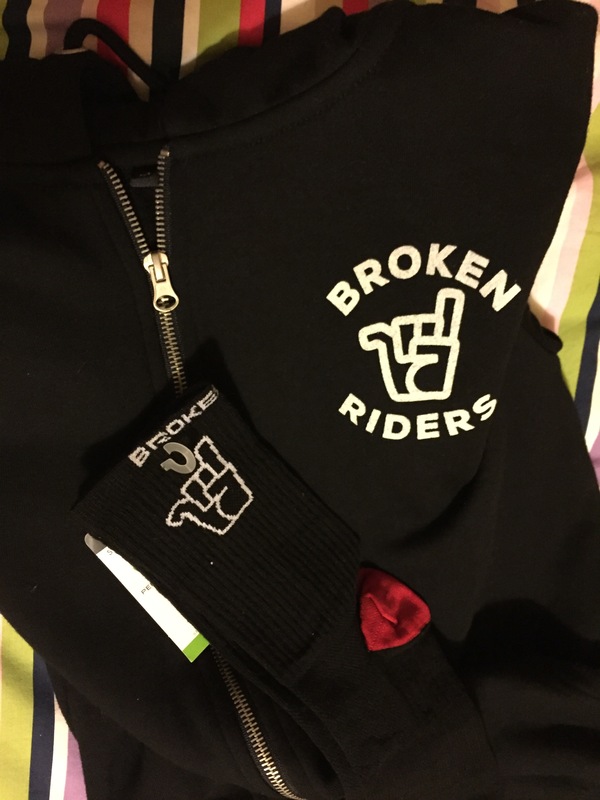 I got a pair of socks and hoody from Broken Riders! Awesome! Photo courtesy of Chris Davies Photography. I met back up with Michelle and Clare and we sat in the sunshine for a bit then headed back out with Rox and a girl called Jo. It was a bit odd to be back on my bike, but great to be able to completely trust a bike. It’s amazing how much you learn to rely on how a bike will react to the way you ride! We decided to do the black, despite having tired legs from the first lap round in the morning, and there was much wooping! We got back quite late, most of the MTBmeetup had closed down! Check out Chris Davies’ photos from the event. What a great day and we were really lucky with the weather!